As you grow closer to yourself (and you’ll notice that in doing so, you become more powerful) your final task is simple: use everything you have in service of yourself and in service of others. Share your gift. 1. Stop all criticism. Stop criticizing yourself now and forever. Never again. Criticism never changes a thing, so refuse to criticize yourself and accept yourself exactly as you are. 2. If you love yourself, don’t scare yourself. Stop terrorizing yourself with frightful thoughts, because all you do is make your situation worse. Don’t take a small situation and make it a big monster. 3. Be gentle and kind and patient with yourself. 4. Be kind to your mind. You know, self-hatred is really only hating thoughts you have about yourself. And you don’t want to hate yourself for having thoughts. You gently want to change those thoughts. You are worth loving. All of us are. 5. Praise yourself. Criticism breaks down the inner spirit and praise builds it up. So praise yourself as much as you can. Tell yourself how well you’re doing with every little thing. Many of us refuse to put any effort into creating a good life for ourselves, because we feel we don’t deserve it. Deserving has nothing to do with having good. It is our willingness to accept good in our lives. Allow yourself to accept good whether you think you deserve it or not. YOU DESERVE IT, ALWAYS! 6. Find ways to support yourself. Reach out to friends and allow them to help you. It really is being strong to ask for help when you need it, instead of trying to do it all yourself and then being angry at yourself because you can’t make it. And there are so many ways. Friends can help you. There are support groups everywhere, and if you can’t find what you want, you can even start your own. BE CREATIVE! 7. Be loving to your negatives. You created every single negative pattern, every negative habit. Everything you have in your life, you created to fulfill a need, and it worked. See, everybody has made negative choices in the past. However, nobody is stuck with them, The good news is that you always have a choice. You can always choose a different, more support and nourishing thought. Letting go of the old negative pattern with love allows you to move into the new positive patterns with ease. LET GO! 8. Take care of your body. It is the house you live in. When you’re born, you move into this house, and when you leave the planet, you move out of it. So, love the house that you live in and take care of it. You can find exercise that you enjoy, something that is fun to do, and then watch what you put in your body. Drug abuse is so prevalent on the planet, it is one of the most popular methods to escape. If you’re into drugs, it doesn’t mean that you are a bad person. It just means that you haven’t found a more positive way of fulfilling your needs, but drugs alter your reality and lower your immune system to dangerous levels. Instead of escaping with drugs, we need to know that it is safe for us to feel our feelings, Part of loving ourselves is feeling our feelings. And they pass through, they don’t stay. 9. Do mirror work. I have seen so many people change their lives by merely looking in the mirror and saying, “I Love you. I really Love you.” At first it may seem untrue or weird, and it can bring up sadness or anger or fear, but if you continue to do this simple affirmation every time you are in front of a mirror, your inner energy begins to shift, You’re letting go of destructive thoughts and behaviors, and accepting yourself as naturally lovable becomes so much easier. 10. There are several ways you can practice mirror work. First thing in the morning. I like just looking in the mirror and saying, “I love you. What can I do for your today to make you happy?” Then listen to what you hear. You may not get any messages to begin with, because you may be so used to beating yourself up that you don’t know how to respond to a kind, loving thought, but listen and follow through and begin to learn to trust yourself, and if something unpleasant happens, run immediately to the mirror and say, “I love you! I love you anyway!” Because events come and go, but the love that you have for yourself is constant and is the most important thing in your life. 11. You can do forgiveness work in the mirror. Look into your own eyes and say, “I forgive you. I forgive you for holding on to old patterns for too long. I forgive you for not loving yourself. I forgive you for whatever.” You can talk to other people in the mirror too. Tell people in the mirror what you are afraid to say in person. You can forgive them. You can ask for love and approval. Be sure the last thing you say in the mirror is always that you love and approve of yourself. 12. The most important thing is to be willing. Just be willing. Say, “I am willing to learn to love myself. I’m willing.” And believe me, the universe will hear you! If you think of your life or your mind as like a garden, you know what kind of garden you would like. What kind of events do you want to happen in your life, and what kind of seeds do you need to plant in order for those to happen? Select the seeds, the thoughts, that will grow the garden of experiences you want. Be gentle and kind and patient with yourself. A garden begins with just a patch of dirt. Then you add small seeds or some little plants, and you water it, and you give it some loving attention. To begin with, it seems like nothing much is happening. But if you continue doing that, and if you’re patient, things will change. The garden will grow and blossom. 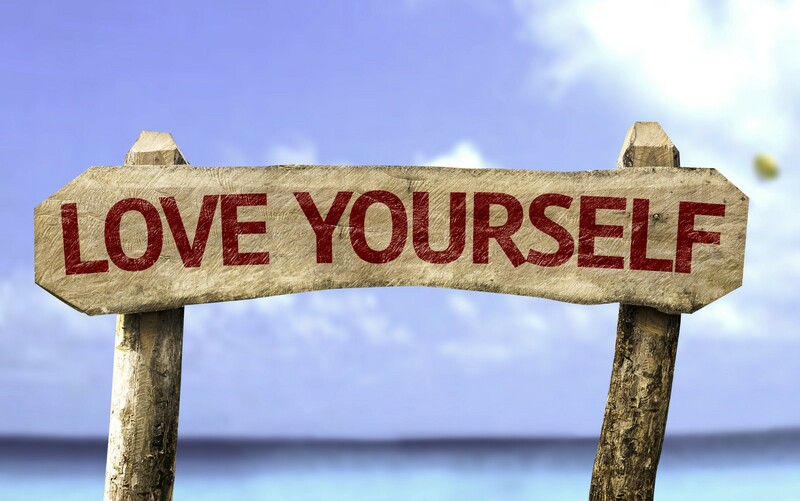 Love yourself - You are so worth loving! At The Inner Space, we are committed to finding answers to your health concerns, utilizing evidence-based treatments, as well as highly effective non-conventional approaches, in an environment designed for comfort and connection.